You should see all the different craft beers I have in my refrigerator right now. I almost need another fridge to accommodate them all. Usually every week Dylan and I venture out and pick out a new beer, then think of what type of cupcake I could bake it into. 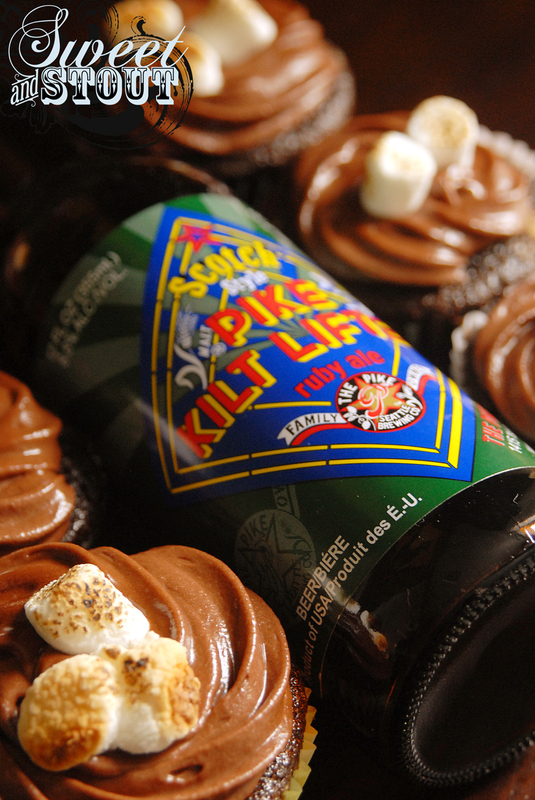 This time I knew I wanted to make a s’more cupcake, but wasn’t sure what kind of beer would go with it. 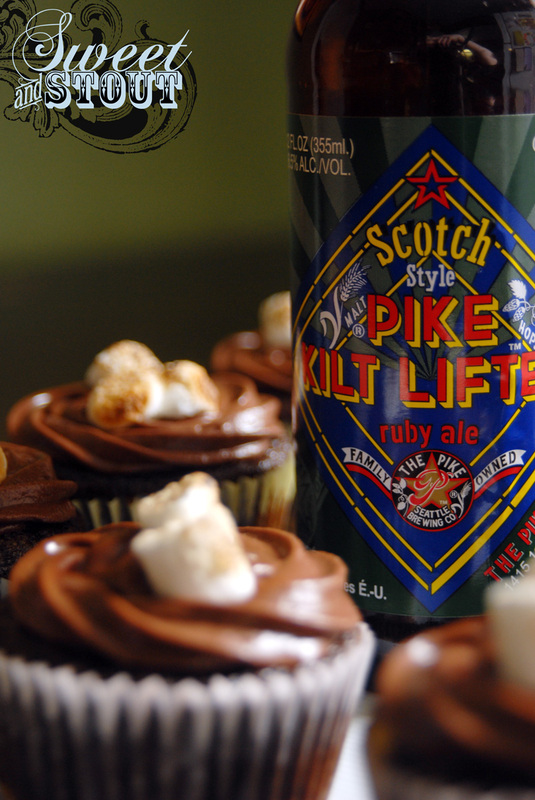 Looking through our stockpile, I found a bottle of Pike Brewing Company’s Kilt Lifter, a scotch ale, and I knew that was just what I needed. The cake was delicious. The batter was very thin but they turned out almost like a brownie consistency rather than cake, I was a little surprised. The graham cracker on the bottom anchored the cupcake and gave it an interesting look from the side. For the frosting I went with a mix box from Jiffy and I don’t think I would use it again. Maybe it was just me, but I couldn’t get the frosting to fluff up how I wanted it to be, so I added some powdered sugar to help it out. While it tasted good, it was a bit too sugary for my liking. To top it all off we went with the toasted mini marshmallows, my favorite. At first I tried to roast some under the broiler, but they just melted to the pan. 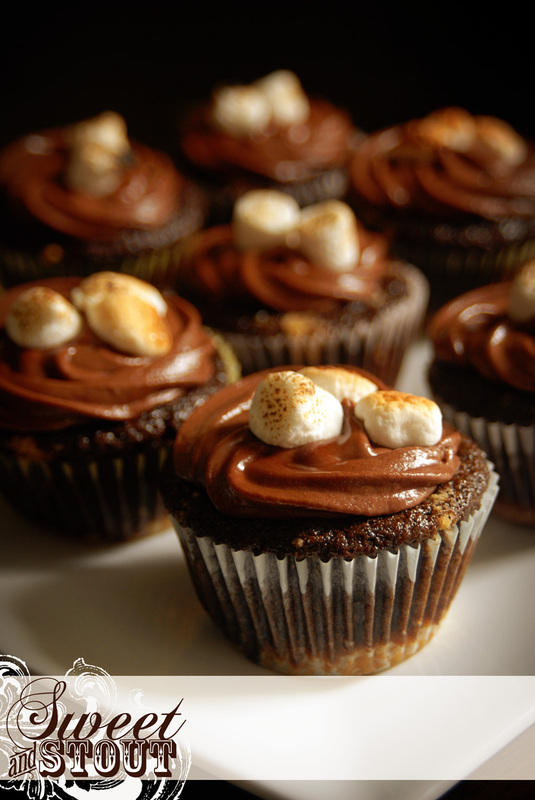 Dylan has a small butane lighter so we just placed some marshmallows on top of the cupcakes and fired them up. It worked out really well, plus it was fun to do. There are a few things I might change the next time I make these, first of all being the frosting. 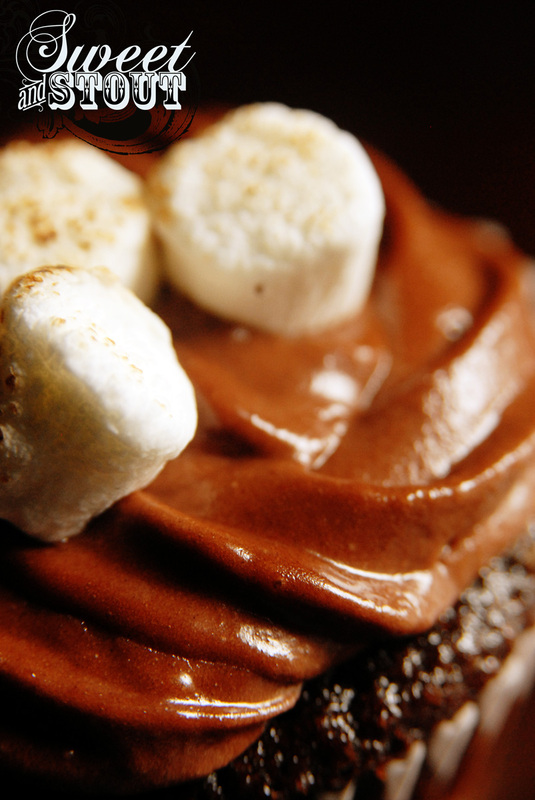 I was thinking it might be more fun to use marshallow fluff as the frosting. Can you toast fluff? I’m not sure, but it’d be worth trying. 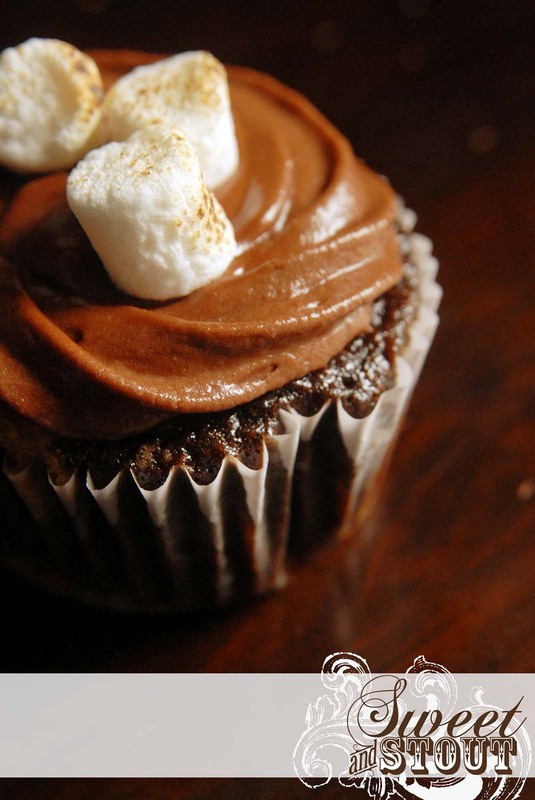 Or maybe I would use a big marshmallow and melt it over the top of the cupcake. All good options I think. Do any of you have suggestions for what I should make next? I’d be open to beer or cupcake suggestions!